Horoscopelogy is your access into the world of Astrology. Discover how your stars and planetary positions affect your life and get guidance by experienced Astrologers and Psychic Readers. Here, you can get free horoscope, free daily tarot reading, information about Zodiac Signs and Compatibility under one roof. Explore the universe of Horoscope Astrology and get a deep insight into your future! Astrology and Tarot are two very distinct philosophies, but they share similar astral background and an inextricably close framework. While "Astrology focuses on planetary movements for guidance, Tarot concerns the mystical powers of the cosmic universe". Both practices have mutually enriching qualities which help readers get through challenging circumstances in life. Read this Now: What Does Your Love Life Say This Fall? There is indeed a strong connection between Astrology and Tarot Reading, no doubts there. But, how exactly are they related to each other is an interesting thing to know. Let us gain more insight into this! It’s been rightly said, “ the most consistent of them all is inconsistency.” Sticking to something long enough that it actually becomes a part of your life is nothing short of a challenge, especially in times like these when you hardly have time for yourself. Adopting fitness regime, healthy eating habits, resisting the Powerball sound just so right in this context because hey, a routine is a routine. Similarly, for an Astrological devotee, reading daily horoscope can be as much a part of life as drinking coffee or dropping kids to school. Be it Astrology, Horoscope, or Tarot reading, there are all kinds of misbelief surrounding their usefulness in real life. Films and television have made it even worse with their over the top misrepresentation of Tarot as some sort of mystic practice and a work of the devil. Others believe it to be an extension of religious pretext. And if that wasn’t surprising enough, then take this, some even claim it to be a group of people or a community, which follows the likes of popular secret societies such as Freemasons and Illuminati. Tarot cards are probably the most popular form of divination that is out there. 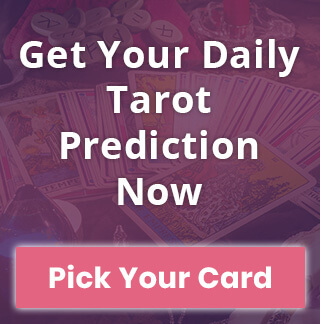 Primarily, it’s because people have an impression that with Daily Tarot, there is that mystic element of future telling which will certainly come into play. However, this notion is debatable because skeptics believe that no ability that a human mind can wield could ever come close to predicting the future. Whereas, some psychics claim to have successfully predicted the future just by going through a set of Tarot cards using their intuition and so-called psychic abilities. The best thing about horoscope is how it helps you discover invisible opportunities and hidden challenges just so easily. On that note, let’s take a read through our accurate and concise monthly horoscope astrology prediction and find out what September, the month of change, has on offer. Aries: This month marks the entry of lunar retrograde into Aries. You’ll be feeling more energetic and would definitely be looking forward to starting something new. This is an excellent time to test your skills as a professional. Sun and Mars are coming together mid-month, helping you find clarity regarding career goals. Read Your Aries Monthly Horoscope. 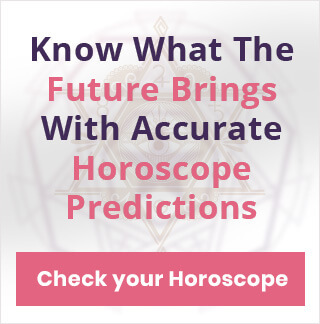 If you are one of those people who can’t miss reading daily horoscope predictions, then you must be a believer of the quintessential astrological theory that suggests how planetary movements control human life. But if you’re not, then you’d be surprised to know that over the last two decades there has been a meteoric rise in the number of people turning to Astrology for answers. Copyright © 2019 horoscopelogy.com All rights reserved.